If you have a question or comment about an announcement, you can reply directly to that announcement. 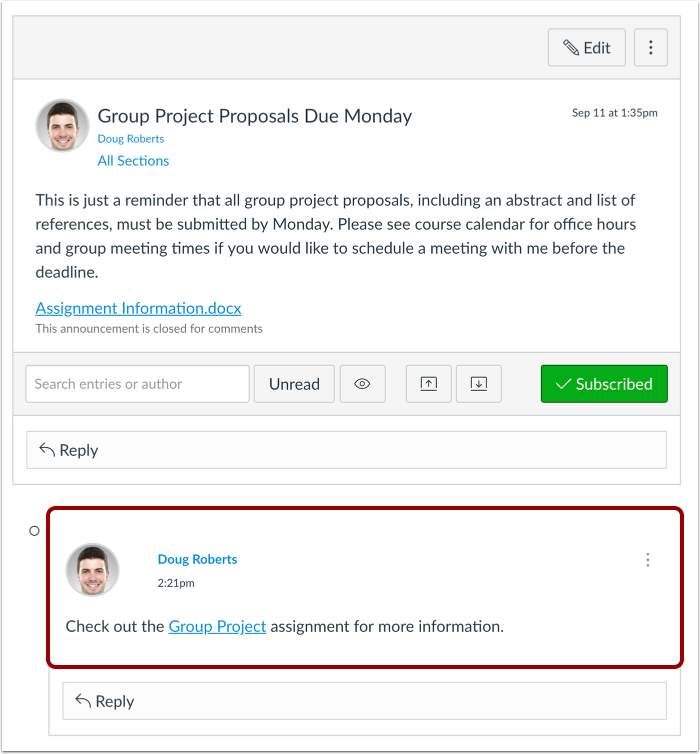 You can reply in both course and group announcements. This lesson shows how to reply in a course, but the steps are the same. Note: Not all announcements may allow replies. Additionally, announcement replies may be disabled in Course Settings or at the account level. Format your response and add media, links, photos, and/or equations using the Rich Content Editor . Click the Post Reply button . View your reply to the announcement. Previous Topic:How do I delay posting an announcement until a specific date in a course? 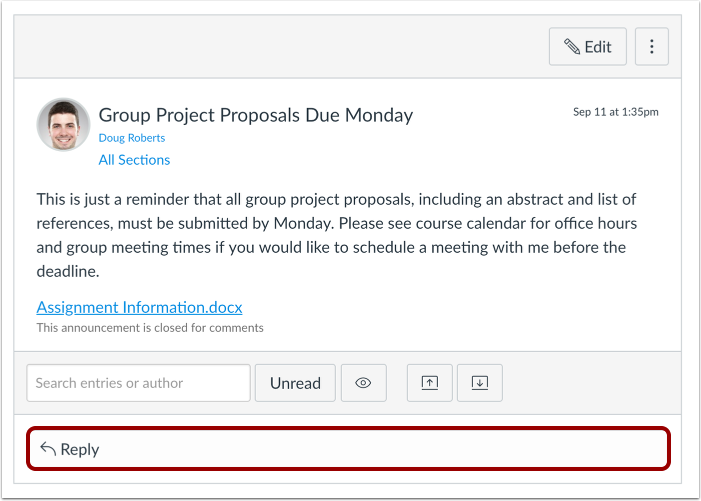 Next Topic:How do I allow students to like replies in a course announcement? 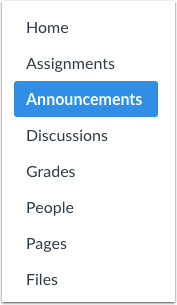 Table of Contents > Announcements > How do I reply to an announcement as an instructor?